I wanted to make a bark for my husband this Valentines Day. His favorite nuts are peanuts and cashews and he loves dark chocolate. I thought the flaxseeds would add a nice extra crunch and texture to this bark. It did and came out delicious. A nice easy recipe that I will be making over and over again for any occasion. Line a cookie sheet with tin foil then lay a piece of parchment paper over that. Set aside. 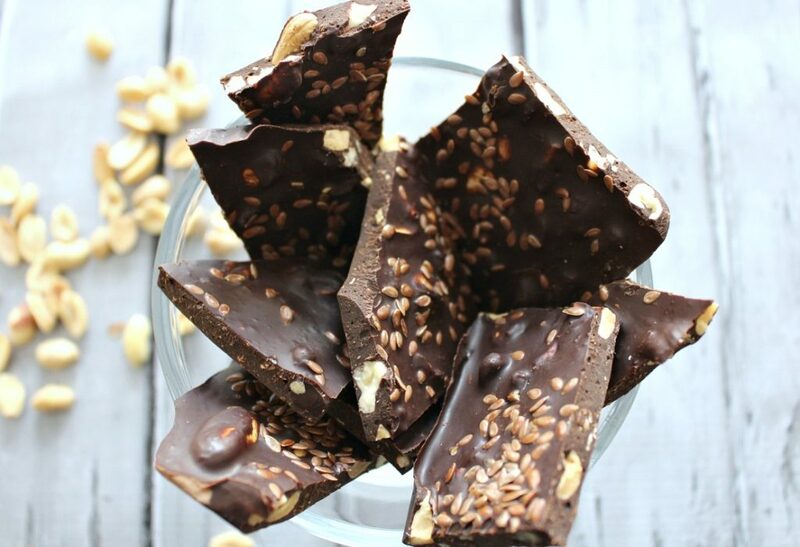 Chop up all the chocolate into medium pieces using a serrated knife. In a double boiler, I made my own by placing a heatproof glass bowl over a pot of simmering water. (Make sure the water does not touch the bottom of the glass bowl) place all the chocolate into the glass bowl except for about 3/4 of a cup. Using a rubber spatula, gently mix the chocolate until completely melted. Then add the 3/4 cup of chocolate into the mixture and continue to mix gently until all is melted again. Take off the heat and stir in peanuts, cashews and flaxseeds. Stir until all is incorporated. Pour onto prepared baking sheet and carefully spread out. Using an offset spatula is a great tool. Let sit on the counter for about 15 minutes then place in fridge for at least 30 minutes. 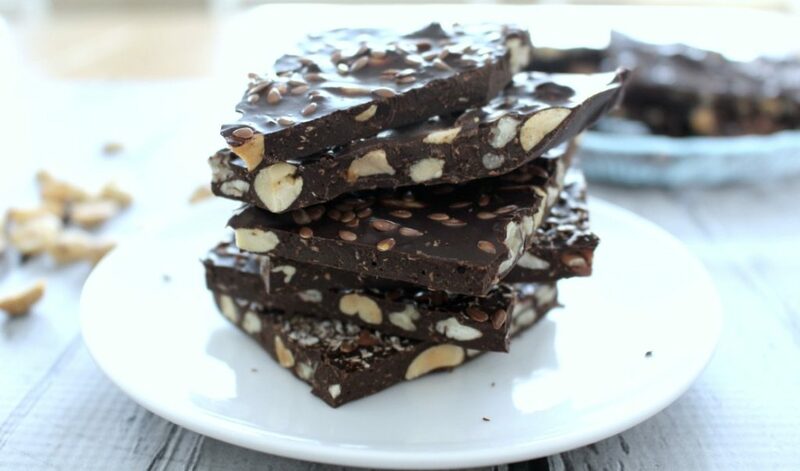 When you take out of fridge, break on the side of a cutting board into medium to large shards of chocolate bark. Store in the fridge for up to 5 days. ENJOY THIS HEALTHY TREAT!